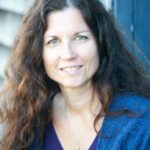 Lisa is a Certified Facilitator of Trauma Sensitive Yoga and a Supervisor for TCTSY students in the certification program at the Trauma Center in Brookline, MA. She provides TCTSY to those whose lives have been affected by sexual assault, domestic violence and violent crime. Lisa is an Ayurvedic practitioner and is passionate about creating a path for healing that includes the complimentary practices of clinically focused Yoga with the lifestyle and diet teachings of Ayurveda. Lisa owns Sama Tal Center in North Hampton, NH. In March of 2015 I completed my 300-hr certification in Trauma Sensitive Yoga through the Trauma Center at the Justice Resource Institute in Brookline, MA. My first teaching opportunity was with HAVEN, the Sexual Assault and Domestic Violence service agency based in Portsmouth, NH. My work with HAVEN began in September of 2014 and I continue to support their clientele. I currently provide services for the Victims of Crime and Loss (VOCAL) program at Lahey Behavioral Health in Beverly, MA and I teach TCTSY daily at Parkland Medical Center’s Residential Behavioral Health facility in Derry, NH. When not working at outside facilities I offer individual and group classes at my own space, Sama Tal LLC, in North Hampton, NH. In September of 2015 I became a Supervisor in the TCTSY Certification Program which allows me to work one on one with students as they complete their training. In the Fall of 2017 I will take on more responsibility in this Trauma Center program. I currently write a monthly blog (lisaboldin.com) which allows me to explore the subjects of Trauma and Ayurveda. Co-developed by service users, trauma clinicians and yoga teachers at the Trauma Center in Boston, Massachusetts, Trauma Center Trauma-Sensitive Yoga (TCTSY) is an empirically supported, adjunctive treatment for developmental & complex trauma (sometimes referred to as complex or treatment resistant Post-Traumatic Stress Disorder). The TCTSY model has been accepted for inclusion in the National Registry of Evidence-based Programs and Practices (NREPP) database published by SAMHSA. I offer my clients an opportunity to have a present moment experience where they may strengthen their interoceptive awareness. I offer choices of movement, one of which is to sit in stillness at any time during our class. I offer ways for students to adjust their forms in order to tend to their needs; teaching them to take effective action is of utmost importance. I provide a safe space for this practice and am diligent about how I speak and interact with the students. There are no hands-on physical assists offered. Ayurveda offers lifestyle and diet choices that may reduce the effects of trauma and chronic stress. When I teach group workshops or meet individually with clients, I focus on practices that help to ground and balance their (Vata) energy. Vata is characterized by movement and may manifest as anxiety, ungroundedness, dryness and constriction. These practices encourage the creation of dependable rhythm in their lives. We speak about waking and sleeping times, meal times and creating opportunities for self-care. Vata management involves slowing down the pace at which they exercise as well as choosing forms of movement, such as yoga, that pacify rather than aggravate their physical and emotional bodies. I share ayurvedic teachings about food choices and when and how meals are eaten. Most importantly, I listen to their stories and offer healing practices that they may begin to incorporate into their daily lives. Having learned about the prevalence of trauma in our world, I have changed the way that I view people who are sitting before me in either yogic or ayurvedic settings. I understand that it is likely that 60-70% of my clients have experienced either a single incident of trauma or, for some, have a longitudinal history of trauma. I bring this knowledge to all of my relationships and find that I am aware of the story behind the story. I try to do no further harm. I employ the tenants of what I was taught during my training; even my general yoga classes are taught in a trauma informed manner using the language of choice and inquiry. When working with a client during an Ayurvedic consultation, I watch for indications that trauma may be impacting behavior or physical symptoms. Providing trauma informed care requires that I look at the world through a different lens. In both the Trauma-Sensitive Yoga and Ayurveda teachings that I share, I am not prescriptive. I do not assess a person and give them the perfect combination of diet, lifestyle, yoga forms and meditation as a way to heal. Instead I create a safe space where people can gradually begin to become more and more present to their own bodies and their own needs. With TCTSY, it may take weeks or months for people to feel sensations in their bodies. Because stillness is always an option, clients are welcomed to proceed in their own manner and at their own pace. My desire is to create the ground where they will feel able to rest, pause and choose for themselves appropriate movement. When sharing Ayurveda, it may take many meetings for a story to come forth. This narrative is what informs the choices that I offer my client. It is understood in Ayurveda that we each possess all the intelligence we need to heal ourselves and to live a life of balance. To that end, by helping people to create dependable rhythm in their days, educating them about food choices and giving them opportunities to cleanse their sense organs, their inner wisdom naturally rises to the surface. This may be the first time ever that people have learned to understand the sensation of hunger or weariness, joy or safety. We truly have within us everything we need and the teachings of Ayurveda is akin to shining a light on this deep knowing. In TCTSY I will often begin with a chair-based practice to introduce movement. At times, physical constriction is apparent as a result of living in fear and anxiety. For this reason it may be necessary to limit range of movement and the planes upon which we move. TCTSY is not meant to be a practice of self-regulation; it is known that accessing the body can at times create intense sensations and so I take great care to be sure that the people I have in class are supported through this transition. My protocol requires that each survivor is under the care of a therapist or is a member of group therapy. Clients are screened to confirm that TCTSY is appropriate for them at their current stage of healing. When employing Ayurveda, I remain present and open to my clients. I understand the need for healthy boundaries and also the need for authenticity. Creating a space that is private and welcoming helps to set people at ease. I let them know that they only need to share what they feel comfortable sharing. I am accessible via email and phone and encourage clients to ask questions between visits. I am able to offer a sliding-scale fee.